Mindfulness practice has been shown to improve emotion regulation. Practitioners demonstrate the ability to fully sense and experience emotions, but respond to them in more appropriate and adaptive ways. In other words, mindful people are better able to experience yet control their responses to emotions. This is a very important consequence of mindfulness. Humans are very emotional creatures and these emotions can be very pleasant, providing the spice of life. But when they get extreme, they can produce misery and even mental illness. The ability of mindfulness training to improve emotion regulation is thought to be the basis for a wide variety of benefits that mindfulness provides to mental health and the treatment of mental illness especially depression and anxiety disorders. Adolescence should be a time of mental, physical, social, and emotional growth. But adolescence can be a difficult time, fraught with challenges. During this time the child transitions to young adulthood; including the development of intellectual, psychological, emotional, physical, and social abilities and characteristics. There are so many changes occurring during this time that the child can feel overwhelmed and unable to cope with all that is required. Making these profound changes successfully requires a good deal or flexibility, adapting and changing with the physical, psychological, and social changes of adolescence and particularly to regulating the extreme fluctuations of emotions occurring during this time. Hence, developing mindfulness and emotional regulation is important especially during adolescence. In today’s Research News article “Emotional Intelligence and Mindfulness: Relation and Enhancement in the Classroom With Adolescents.” (See summary below or view the full text of the study at: https://www.frontiersin.org/articles/10.3389/fpsyg.2018.02162/full?utm_source=F-AAE&utm_medium=EMLF&utm_campaign=MRK_830687_69_Psycho_20181120_arts_A ), Rodríguez-Ledo and colleagues examine the relationship between emotional intelligence and mindfulness in adolescent school students, aged 11 to 14 years. They were randomly assigned to receive either 9 months of once a week for 55 minutes mindfulness, attention, and emotional intelligence training or no training. The students were measured before and after training for emotional intelligence, emotional development, socialization, empathy, and mindfulness. The mindfulness measure included scales of kinesthetic, internal, and external mindfulness. Kinesthetic mindfulness was paying attention to movements, internal mindfulness was paying attention to mental and emotional states, while external mindfulness was paying attention to stimuli outside of the individual. Examining the pretest measures they found that the higher the levels of mindfulness the higher the levels of emotional development, emotional intelligence, empathy, and self-control in social situations. 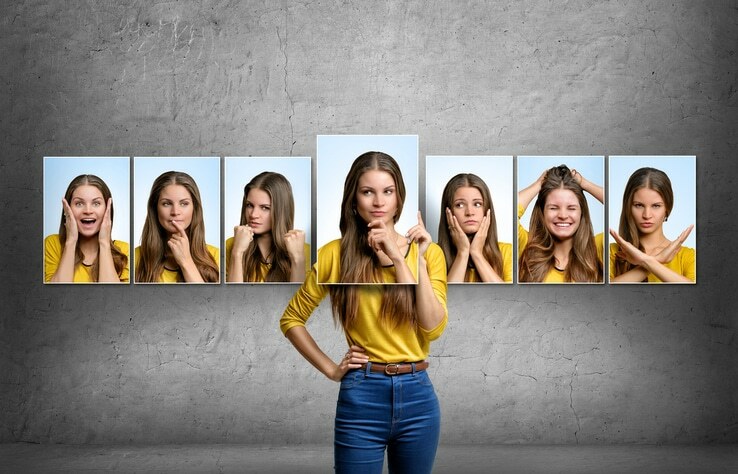 The relationships with emotional development and emotional intelligence were especially strong for kinesthetic and internal mindfulness suggesting that the ability to attend to internal states is particularly important for understand and regulating their own emotions. The relationships with empathy was especially strong for external and internal mindfulness suggesting that the ability to attend to the environment and the internal state are particularly important for understanding others emotions. Finally, they found that the mindfulness training significantly increased kinesthetic and internal mindfulness. These results are interesting and suggests that mindfulness training is effective in making school children more sensitive to their internal states and not to the external environment. Attention to these internal states appears to be related to emotional intelligence. So, adolescents can be trained in mindfulness of their internal milieu and this is related to their emotional intelligence. This makes sense as emotions are changes in internal states and the first step in regulating them is to become aware of them. Since adolescence is a time of emotional upheaval, these skills may be particularly important for the navigation of this difficult time of development. It remains for future research to determine if mindfulness training of adolescents can have long lasting effects on their ability to regulate their emotions and successfully transition to adulthood. 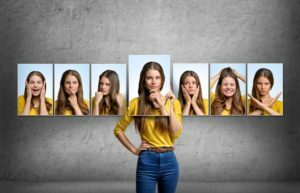 Emotional intelligence (EI) and mindfulness are two constructs that have been separately studied, and the relation between them still remains unclear. Research in this area has not attempted to go further into how enhancing EI and mindfulness together can achieve better improvements in this ability to attend mindfully. To bridge this knowledge gap, our research goal was to study the relationship between EI and the mindfulness competence in our study sample and to assess the impact of implementing EI and a mindfulness competence developmental program (SEA) about participants’ mindfulness competence. The sample consisted of 156 students aged 11–14 years old from a Spanish public high school. One hundred and eight participants were randomly assigned to the experimental condition, and the remaining 48 were to the control condition. The instruments used to evaluate EI were the CDE-SEC, EQi-Youth Version and the General Empathy Scale. Mindfulness on the School Scope Scale was used to assess mindfulness competences. Social adaptation was evaluated by using the social abilities and adjustment questionnaire BAS3. All the instruments where answered by the participants and have been adapted to a sample of youths with such age specifications. The results showed that EI and mindfulness were related to many of the variables measured by the instruments. Showing a good mindfulness competence was particularly related to having a good general level of the EI trait, and to many of the assessed social and emotional variables. The data indicated a significant relation between the mindfulness competence and having better general empathy skills or being better socially adjusted to the school context. The data also indicated a significant effect on participants’ interior and kinesthetic mindfulness competence after implementing the SEA Program. These findings corroborate the relationship between EI and mindfulness, and the possibility of enhancing mindfulness by applying a direct intervention program in the classroom.